The first Total Immersion & Swim Ireland Swim Coaching Studio to be located in Ireland. Now you can swim stronger, faster and with less effort than you’ve ever thought possible. 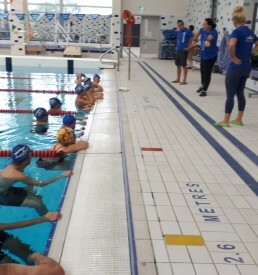 The Swim Studio provides a quality facility, positive and in an informative environment for swimmers of all ages and abilities. You can improve on your swim technique away from the constraints of a public pool. Upon finding Total Immersion you will master your swim with the effortless grace of ‘fish-like swimming’ by becoming one with the water working with it, instead of fighting it. 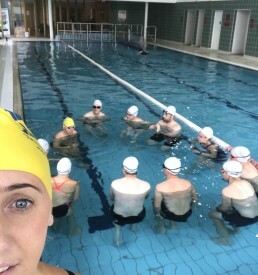 We can work with your buoyancy, balance and core rotation to help you become more streamline in the water, you will be thought whole body fluent swimming patterns channelling that energy forwards. Total Immersion Swimming is designed to teach by using simple skills and movements, to get progress we teach swimming as a practice.